In addition to being free, the Twitter app now carries the distinction of being "version 3.0." In addition to being free, the app now carries the distinction of being "version 3.0"
(Mashable) -- Yesterday, Tweetie 2 for iPhone disappeared from the App Store. Its replacement, simply titled Twitter, is now available. This comes a little more than a month after Twitter acquired Tweetie from its creator, Loren Brichter. In addition to being free, the app now carries the distinction of being "version 3.0." If you were expecting a big update and iPad support alongside the new name, brace yourselves; Tweetie -- er -- Twitter has remained relatively unchanged from its prior release. That's not a bad thing; as we reported in our original reviews of Tweetie 2 and Tweetie 2.1, Tweetie is one of the best Twitter experiences for any platform and, in our opinion, was the winning app on the iPhone by a wide margin. • You can use Twitter without an account. Spy on your friends without having to actually use Twitter. • You can sign up for a Twitter account within the app itself, complete with Suggested User List. • The "More" tab has been reorganized and popular actions have been moved to the main action bar. • Search results include Top Tweets. In acquiring Tweetie, Twitter raised the ire of its developer community, who worried about what this means for their own applications now and in the future. Twitter has argued that it needs to have an official client to improve basic user experience. 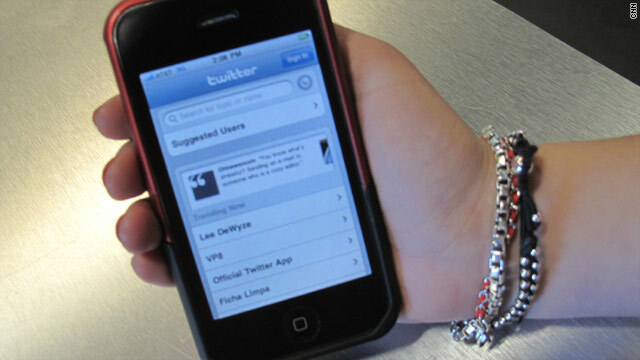 Earlier this month, Twitter for Android was released and RIM launched its own Twitter application for the BlackBerry. This means that the three hottest smartphone platforms all have official Twitter clients. If you never used Tweetie, we highly recommend downloading Twitter for iPhone. It's just a great application and now that it's free, there's really no excuse not to give it a try. What is your favorite Twitter client for the iPhone? Let us know in the comments below.